As we are about to celebrate the start of a new year I thought I would quickly reflect on some of my experiences over the past 12 months. 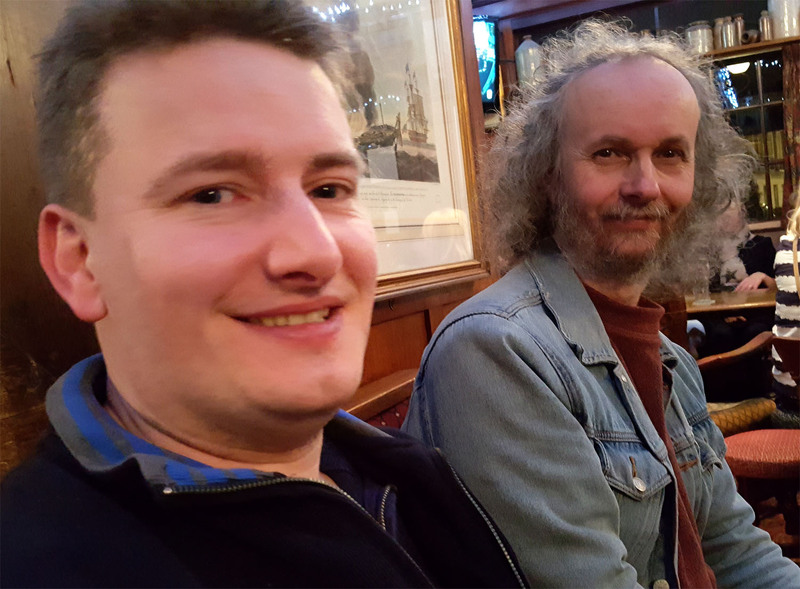 In many respects 2016 has been an excellent year for the Amiga community with the one exception being the sad passing of Dave Needle, one of the key members of the original Amiga development team, who died in March. Dave is joined by a whole host of international celebrities who unfortunately also passed away this year. This included Pat Clark who was my first real boss in my first real job. Pat may have not been an international celebrity but he had a profound influence on my early working life and I am equally saddened by his passing. R.I.P. 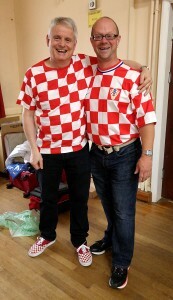 Dave and Pat. However it was not all bad news and I've listed a few of my personal Amiga highlights and other notable events in 2016. I flew from the warm New Zealand Summer to the winter chills of Durham City in the NE England to attend to some personal business. 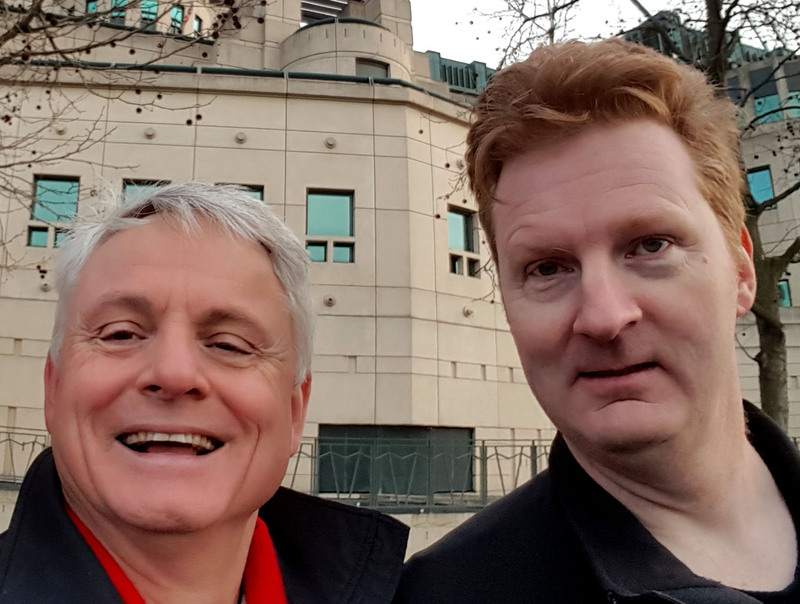 On my way back through a slightly warmer London I met up with Matthew Leaman and some fellow Amiga Developers & beta testers, Darren Stevens and Andy Broad. I took my original A.L.I.C.E. prototype laptop with me on its first overseas outing but more on that later. 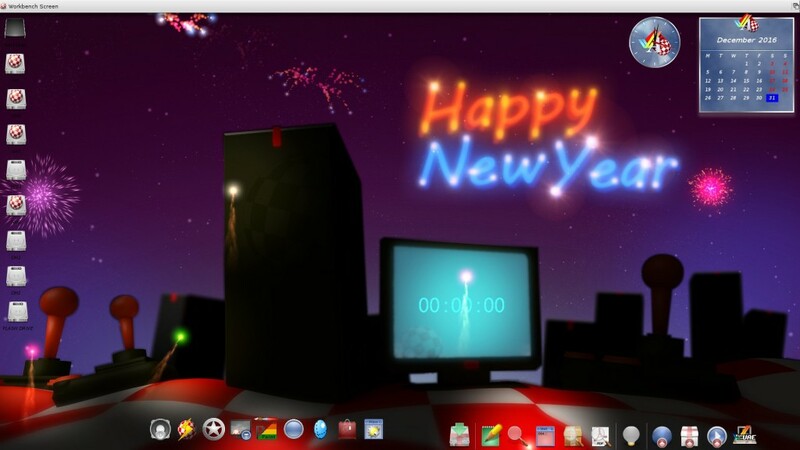 Later that month Darren released a working Live Linux DVD with full 3D hardware acceleration for RadeonHD 4xxxx, 5xxx and 6xxx graphics cards for the AmigaOne X5000. Unfortunately Dave Needle passed away this month. I had the privilege of attending his memorial service in Alameda, California along with many of the original Amiga development team and fellow Amiga enthusiasts who came along to pay their last respects. 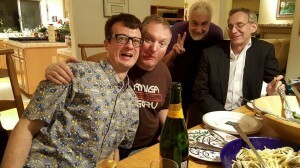 RJ Mical and his wife Caryn graciously provided me with accommodation and we celebrated Dave's life into the early hours of the morning with Glenn Keller, Adam Spring and Chris Collins. 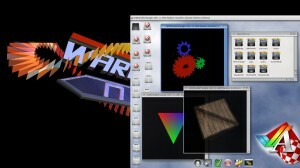 A-EON Technology announced that Warp3D Nova, a native 3D Shader-based API which offered exciting advancements in 3D software for the AmigaOS4 platform was being developed by graphics guru and AmigaDeveloper.com team member Hans De Ruiter. To complement Warp3D Nova, we engaged Daniel Müßener of Cherry Darling fame, to create an OpenGLES 2 wrapper. 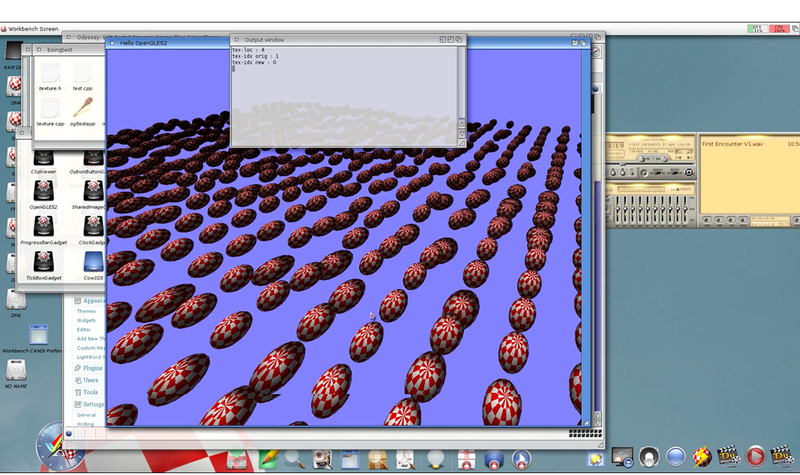 Both Warp3D Nova and OpenGLES 2 have been regularly updated throughout 2016. On the Linux front, Christian Zigotzky, one of the very active members of our Core Linux team, travelled to Cardiff to help set up the Linux installation for the Tabor motherboard. This is made available to our Tabor/A1222 beta testers who wanted to test Linux on their board while they wait for the AmigaOS 4.1 port from Hyperion Entertainment. I again travelled to the UK to attend the first ever A-EON Technology Linux Devcon in Cardiff, Wales. Several members of our Core Linux team travelled from overseas to attend the conference. The group included Pat Wall from Kilkenny in Southern Ireland, Alex Perez from San Francisco, California. Darren Stevens journey from Scarborough in Northern England was just a little shorter and of course Matthew lives in Cardiff. 😉 We also had the part-time Skype presence of Adrian Glaubitz, a Debian developer who is working on the official powerpcspe Debian Sid build for the Tabor motherboard. While in the UK I took the opportunity of visiting Ultra Varisys, A-EON's hardware development partners and even managed to squeeze in a meeting with David Plesance, the former Joint Managing Director of Commodore UK and now involved with FriendUp. I accompanied him on a meeting to Jagex's headquarters in Cambridge and he introduced me to Rod Cousens, Jagex's CEO and ex head of Activision, who he knew from their Commodore/Activision days. 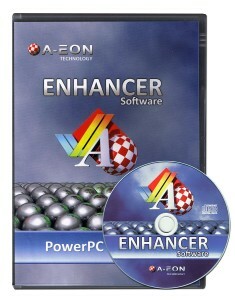 A-EON announced v1.0 of Enhancer Software for AmigaOS 4.1 was available on AMIStore as a digital download. 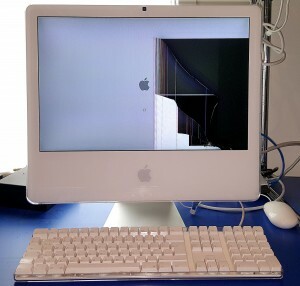 Two version were available. The Standard Edition which included the full RadeonHD V1.x drivers and a reduced Workbench CANDI selection; and the Plus Edition which included the latest RadeonHD V2.x drivers and the full CANDI package. 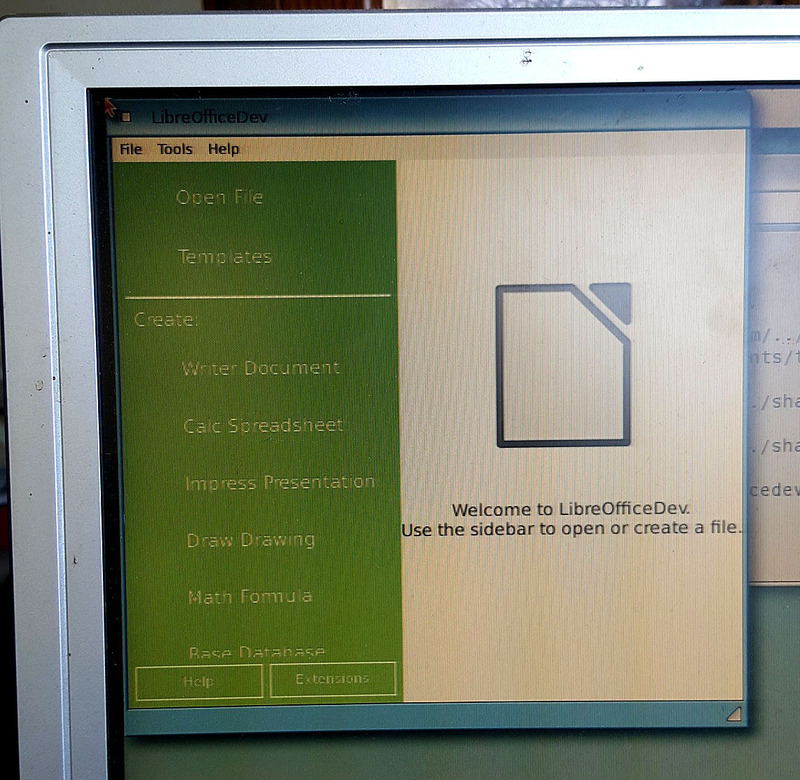 After an awful lot of work the first startup of LibreOffice on AmigaOS4.1. OK it was sluggish and barely usable but it was a major breakthrough nevertheless. 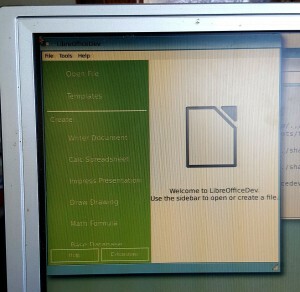 The LibreOffice code base is truly massive. 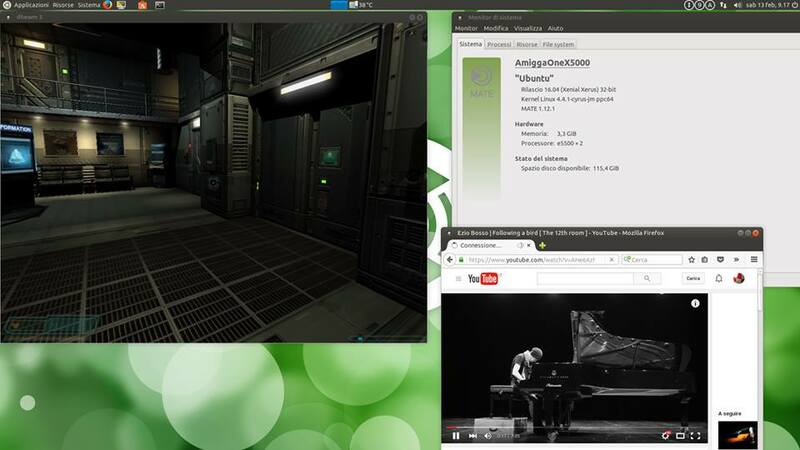 A-EON acquired the exclusive ownership of the RadeonHD source and binary code for AmigaOS 4.x.together with all existing and future RadeonHD intellectual property rights from developer Hans de Ruiter. 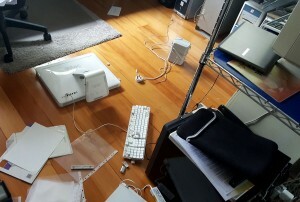 Meanwhile Hans continued to work on the Warp3D Nova development for A-EON. I can't let this month go by without mentioning my 40th Wedding Anniversary. Who would believe it, firstly that I'm that old and secondly I got married before the Amiga was even a twinkle in Jay Miner's eye! 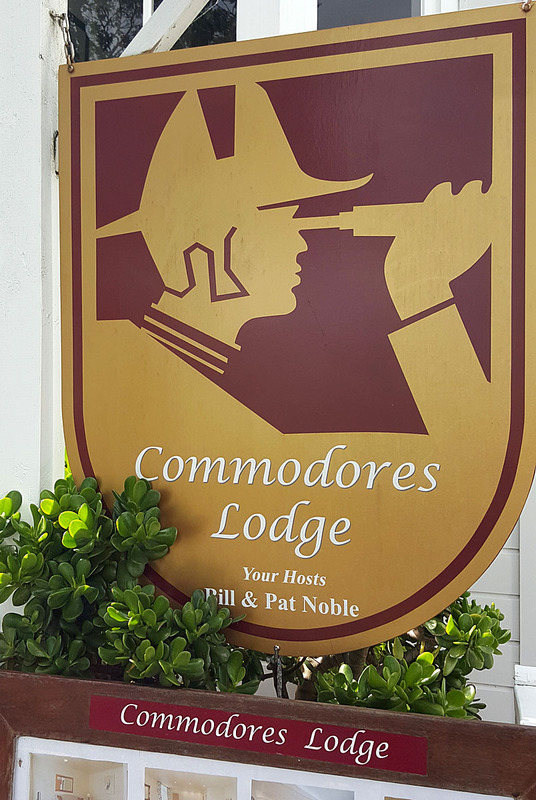 😉 and what do you think I spotted on my short weekend trip up to Russel in New Zealand's beautiful Bay of Island area? 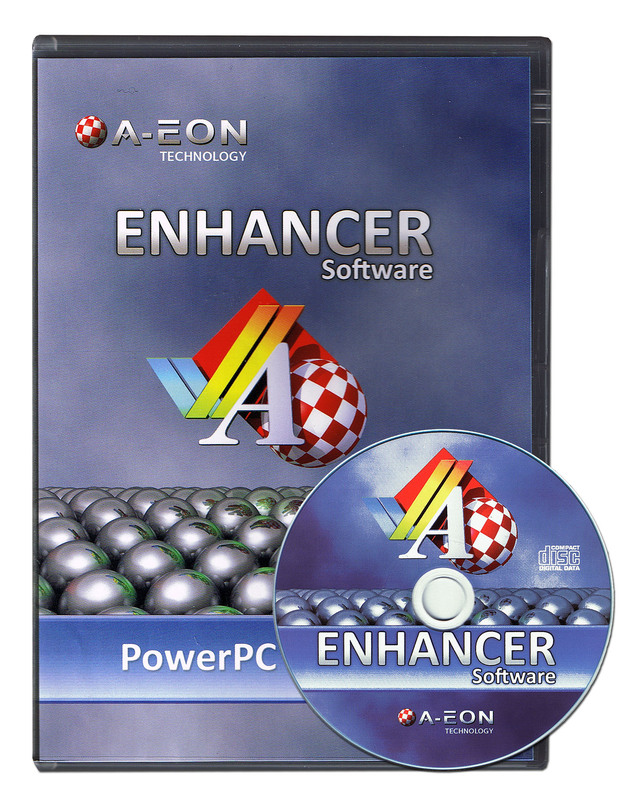 A-EON released the first major update to the Enhancer Software Pack for AmigaOS 4.1 systems. The v1.1 upgrade included a lot of new content in addition to the customary bug fixes and was available as a free download from AMIStore for registered users. 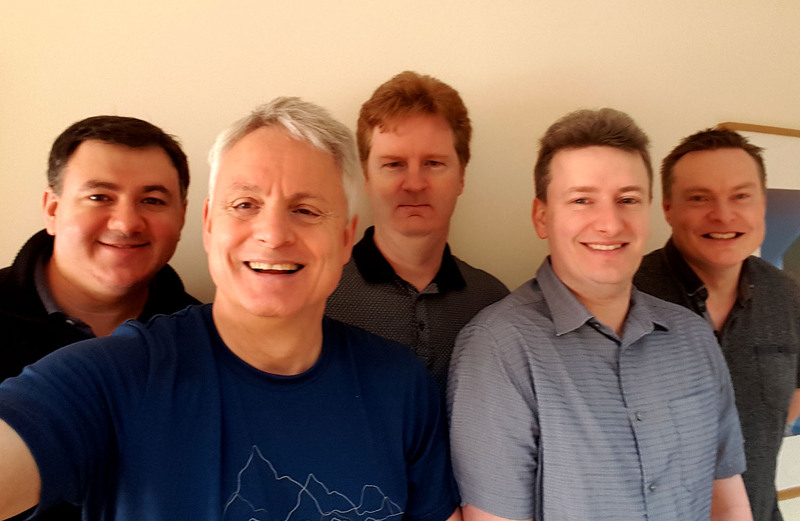 While on business in Sydney, I made a side trip to Adelaide in South Australia to give a presentation to AAUG's (Adelaide Amiga User Group) at the invitation of Epsilon (of Epsilon's Amiga blog fame). 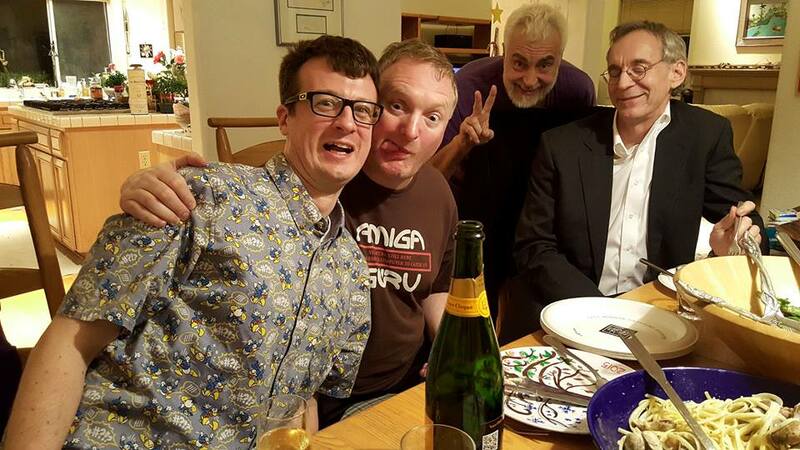 I made a quick dash to the UK to attend the LAG's (Lincolnshire Amiga Group) 10th Anniversary bash in Northern England before travelling to California for my annual visit to Amiwest in Sacramento. 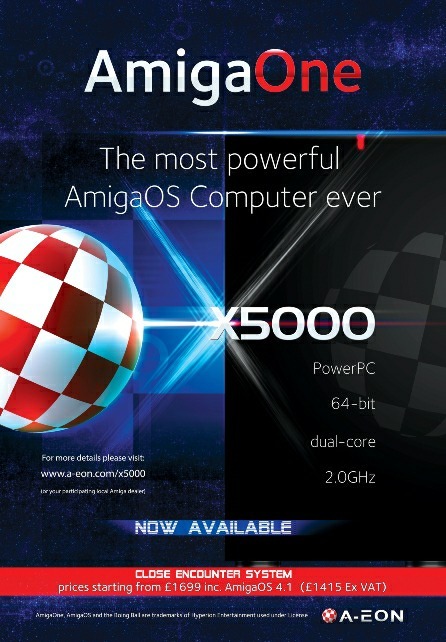 At AmiWest I announced the commercial release of the AmigaOne X5000 complete with a pre-release version of AmigaOS 4.1 Final Edition Update 1 supplied by Hyperion Entertainment. 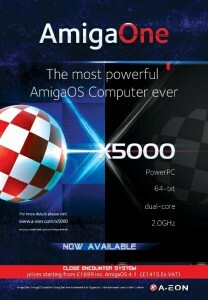 Thanks to the initiative of A1222 beta tester Domagoj Ozanic the AmigaOne X5000 and AmigaOne A1222 made the front page news on www.bug.hr the biggest and most famous mainstream computer magazine in Balkan region. Hyperion Entertainment posted an early development video of the AmigaOS 4.1 Workbench booting on the Tabor motherboard for the first time. Tabor is finally evolving into the AmigaOne A1222. 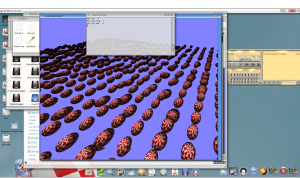 Another update to the Enhancer Software package was released for AmigaOS 4.x PowerPC systems which again included a lot of new features. 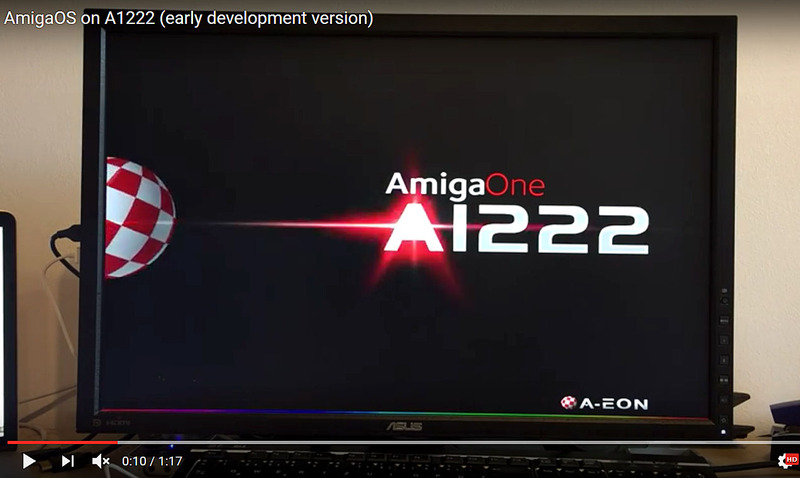 Version 1.2 now included the SE version for older AmigaOne machines as well as the usual Standard and Plus editions. 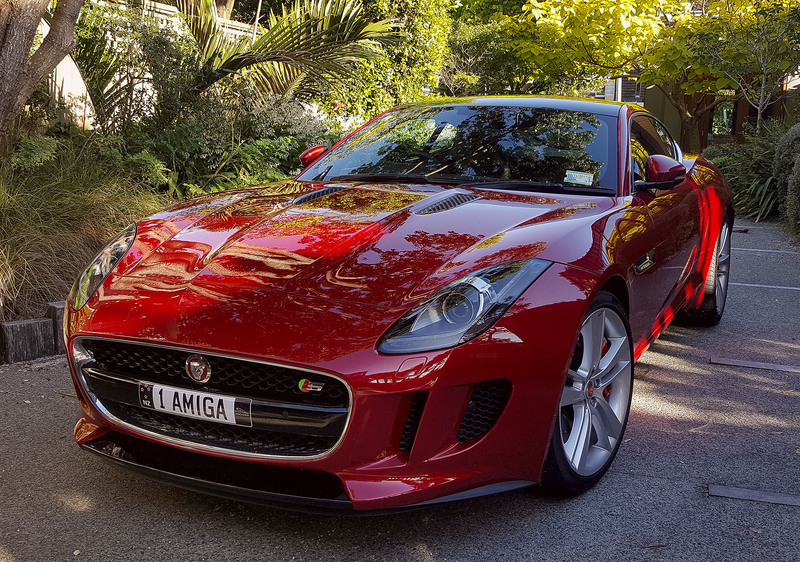 After all the disruption caused by the quake and numerous strong aftershocks I decide to trade my car in for a newer model. You only live once! At this time of year with mid summer fast approaching in New Zealand my Northern hemisphere imprinted brain has a difficult time coming to terms with warm weather, sunshine and Christmas. Not that Wellington has been particularly seasonal in the past few weeks, with earthquakes, storms and flooding. Still the calendar shows that today is the 25th December in New Zealand so I suppose it's time to say Season's Greeting to all Amigans. 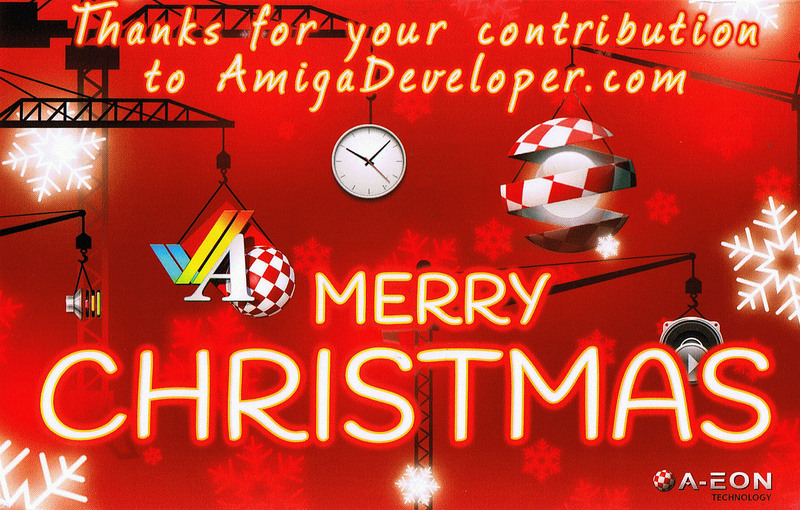 The A-EON Technology Christmas card this year is dedicated all the Amiga developers, translators and beta testers who contributed to a successful year. 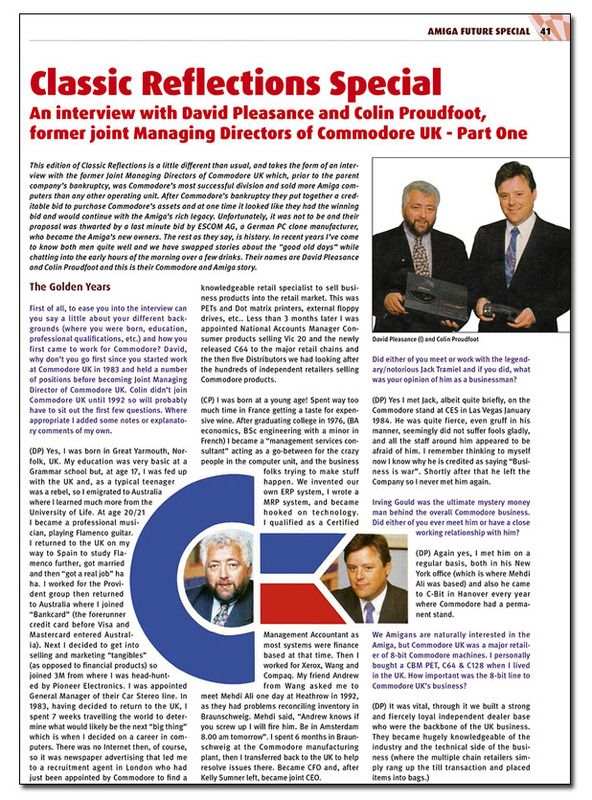 I've just finished another Classic Reflections Special interview with David Pleasance and Colin Proudfoot, the ex-Joint Managing Directors of Commodore UK. Prior to Commodore's bankruptcy, CBM UK was Commodore's most successful division and sold more Amiga computers than any other operating unit. After the parent company's bankruptcy the two men managed to keep CBM UK trading for another 16 months and even made an attempt to perform a management buyout of the whole Commodore company before being thwarted at the eleventh hour when their Chinese partners changed sides and joined forces with ESCOM who eventually became the Amiga's new owners. 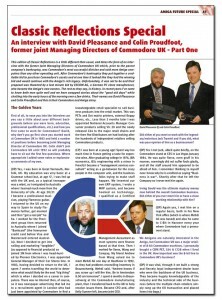 There is so much content from the interview that the article is split into two parts which will appear in the next two issues of Amiga Future. 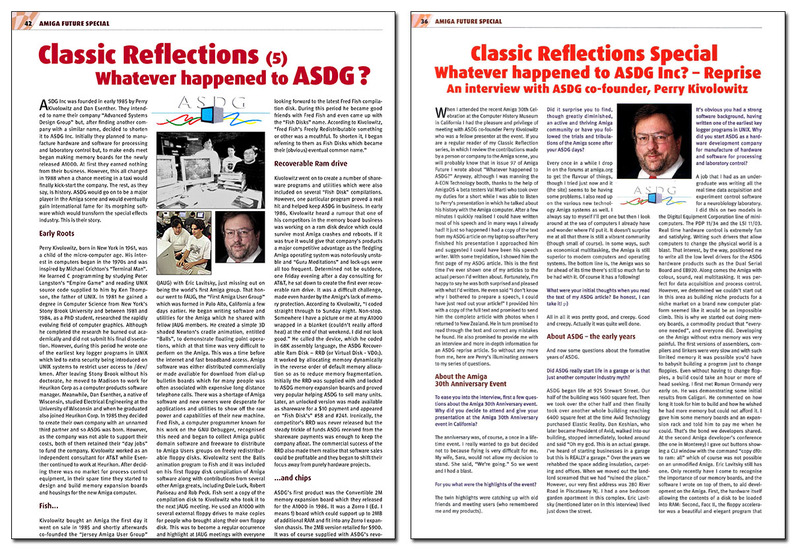 If there are any companies or individuals who you think made a valuable contribution to the Amiga scene whom I've not yet covered in my Classic Reflections series please send an email to me at contact(at)a-eon.com. I can't promise to write about all suggestions but I will certainly take a look. 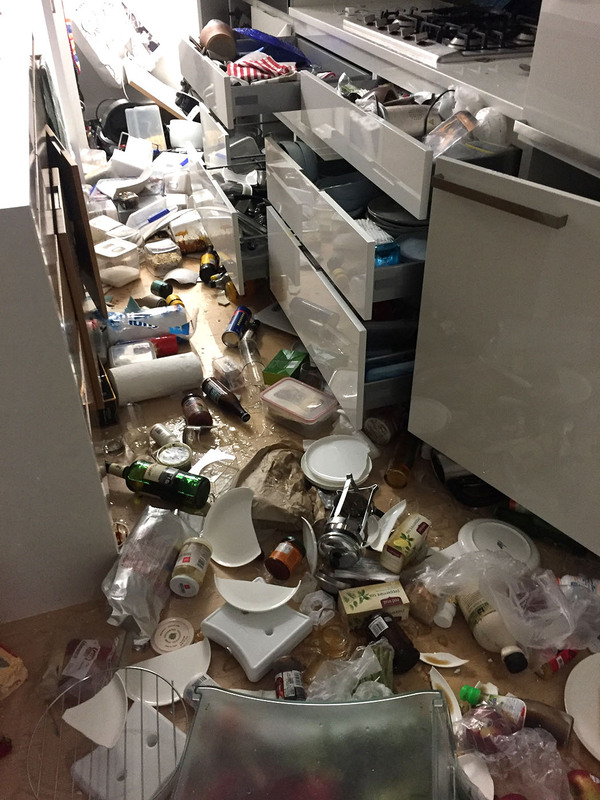 You may have read that New Zealand was struck by a 7.8 magnitude earthquake just after midnight on Monday 14th November. 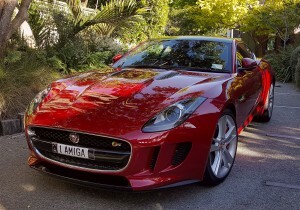 If you are interested you can read about my experience in the upcoming issue of Amiga Future Magazine. Although I suffered some damage to a Phillips Monitor and a G5 PowerPC iMac other people in Wellington city were hit much harder. A friend of mine sent me some pictures of her apartment which is on the 9th floor of a modern earthquake resistant building. 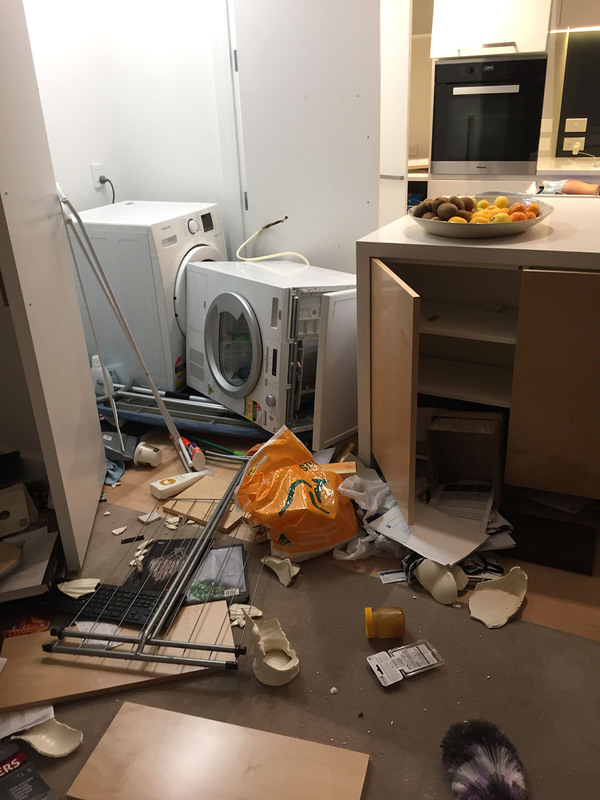 Although the building was not damaged in the quake, the contents of her apartment were another matter. Fortunately the damage was mostly cosmetic and no one was injured in her building which is the main point anyway. However, spare a thought for the people of Kaikoura, a town on the North-East coast of the South Island which is very close to the quake's epicenter and suffered serious damage and some fatalities and was cut off by land slips to the north and south. At least the frequency and strength of aftershocks have lessened and life is slowly getting back to normal. On a much brighter note, the A-EON software developers and beta testers have been hard at work creating and testing the latest update to the Enhancer Software Pack. The new release, ESP V1.2, is a major upgrade and includes many new exciting features and additions which further enhance the AmigaOS experience. It is available in three distinct feature-rich editions, Standard, Plus and the new SE Edition, a special light version for older AmigaOne and compatible models, including Classic PowerPC and PowerPC emulation which do not require or support RadeonHD/Rx graphics cards. 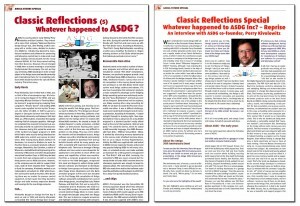 Registered owners of the Standard and Plus Edition will soon be able to download a free V1.2 update from AMIStore. All three editions are available to purchase as a digital download from AMIStore or as boxed sets from authorised Amiga retailers. Check out the official A-EON Technology's News Release for full details of all the new features and updates. 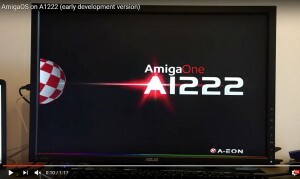 In the meantime I'm going to install the SE Edition under AmigaOS4.1 Classic on my A.L.I.C.E. laptop. I will report back later. Continuing with my Boing Ball theme. 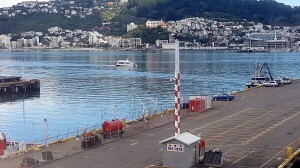 I spotted the following "Boing pole" on the Wellington waterfront. Now bring me some figgy pudding! !